More liberal, Less Fear, and so, Accept the Controversies. 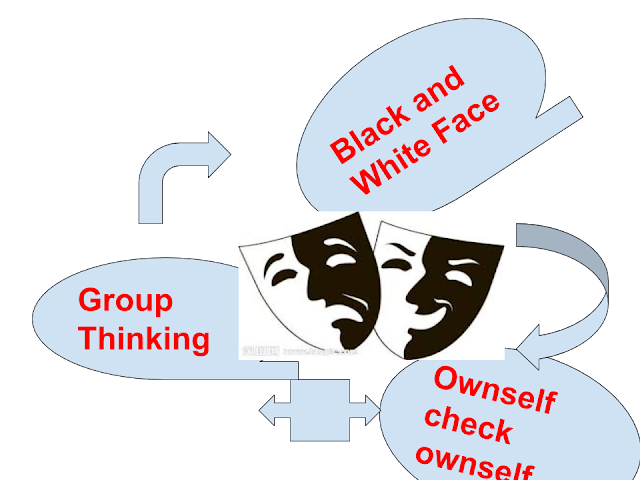 The aftermath of the walkover Presidential election shows the true color of “Black and White Face” (黑白脸） strategy of the People’s Action Party government. Before the “election”, the PAP uses hard and harsh tactics to push through the reserved PE - using the Parliament to change the Constitutions, making the walkover, even change the race identity. After the “election”, the PAP is aware of political price and so they need to do damage control. First, Goh Chok Tong said the PE is controversy. Then, Tharman followed up by projecting a “liberal and less fear” Singapore as compared to the past. Singaporeans also feel less constrained. Now, the PAP is projecting a moderate, liberal, open and reasonable image. Goh Chok Tong agreed there are controversies. Tharman also said the same and ‘did not agree with every tactic by his colleagues’. The new Paper, 22 September 2017. It is quite clear that the “Black and White Face” tactic work very well for the PAP - past, present and future?. Singaporeans are not fools but why they can’t see the clearer and bigger picture. The controversial PE may lead to some pro-PAP supporters to feel unhappy. The PAP hardliners know the political price. But when the moderate PAP leaders call for unity, understanding, rational choices, majority of the unhappiness will disappear. This is the reality of Singaporeans, who judge the PAP under the “Black and White Face” wayang. And they are too happy to be fooled. Mid-life Challenge: Job Market is Bad. Chuan Jin Accepts Pay Cut. Tan Chuan Jin’s problem is an ordinary Singaporean problem. Job market is bad but as a mid-career, mid-life (PMET) person, he has many personal and family commitments. This is not a political price issue but a bread and butter problem. So, he has to accept a pay cut and re-deployment. What are the mid-life challenges? Housing loans, may be for second home. Car loans, perhaps a second car. Insurance - life, endowment, investment-linked products, medical etc. Entertainment and holiday for family. When a PMET is retrenched or redeployed, he will need to adjust his lifestyle and try very hard to maintain his quality of life as before. This is especially when one faces a pay cut. Being a former Manpower Minister, Chuan Jin knows too well that ‘CPF money is not your money’. Between age 48 to 55, Chuan Jin cannot withdraw CPF saving for own use even though he has a handsome balance with CPF Board. Only after 55, he can withdraw CPF saving above the required minimum sum. He also cannot withdraw Medisave as he wishes because there is a limit. This means there is a need of cash top up. Luckily for Chuan Jin, his pay cut does not affect his financial commitments so much. He can still afford to have holidays, allowances for children and parents, serving housing and car loans, and paying insurance premiums promptly. His medical is still covered by the government. So, his political price or compromise is well taken cared of. However, if you are a PMET earning more than $100,000, a pay cut of 50% or same scale as Chuan Jin, you will face a real challenge. Most likely, you will have less entertainment and holidays, giving less allowances to your children and parents, perhaps some problems paying insurance premiums, housing and car loans. Now, you can understand why Chuan Jin accepts a deployment and pay cut. You may still recall Lui Tuck Yew, from a minister to our current ambassador to Japan. Certainly, the pay for ambassador is lower than a Speaker of the House. Luckily, Tuck Yew is above 55, he can withdraw CPF money to meet his personal financial commitments. Chuan Jin or Tuck Yew, both scholars, in fact can be better deployed to GLCs like SMRT, Keppel, Singtel, Capitaland, etc to earn million dollars. Why not? Unfortunately, both may have choose the wrong path. This is their political price. They are not the political materials that Lee Hsien Loong wants. No matter what, Chuan Jin and Tuck Yew are still drawing handsome salary on tax payers’ money. This is very different from most of the PMETs who have to face the real challenges in life and in career. As Tony Tan stepped down as President of Singapore, many say he is a ‘do nothing’ useless President. However, he is not stupid. Indeed, he is very smart by being silent and leaves everything to the Prime Minister. The smartest person, according to Dao De Jing (Laozi), is practicing ‘wu wei’ and leaving all things to nature. He is just doing this and lets all the things to the Prime Minister. The PM instead has to worry about the natural and unnatural developments, including how to fix the reserved Elected President issue and find another suitable nothing to do President as Tony Tan’s replacement. The only missing point is “we did this ourselves.” Do nothing is ok but without the interventions or disruptions. Here we see the presidential election developments are disrupted by the Prime Minister. Hence, Tony Tan is smart to leave everything and do nothing but the stupid prime minister keeps on changing the rules of the game. It makes “we did this ourselves” impossible. Tony Tan ‘do nothing’ mistake is he agrees and changes the Constitutions and so everything did change. As a result, Singaporeans miss the opportunity of “we did this ourselves”. The EP system itself is unnatural and now with the prime minister’s new interventions, the coming EP election will become a man-made beauty - the worst development so far for EP. The coming EP is an insult to Singaporeans, especially the Malays. “We did this ourselves” is not only impossible, the Malays have to pretend the reserved election is for their own good. When a leader tries to disturb the “we did this ourselves”, the matter will become worst. In Singapore, we see election but ourselves. Perhaps, without an election (walk-over) and without ourselves. How to do good and do together.